Fear has evolved—and it's more frightening than ever. Upon learning about the theft of a new weapons system by Al Hasib, the Pentagon braces for the worst. Yet they have no idea where the terrorists will strike first. When the United States’ best intelligence and military organizations run into a brick wall, they turn to Brady Hawk and the Firestorm team for answers. 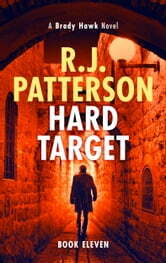 Hawk must uncover Al Hasib’s intended target and capture the weapons system before it’s too late. But in order to succeed, Hawk must come face-to-face with his arch nemesis Karif Fazil in a high-stakes showdown. Loaded with pulse-pounding action and fascinating twists and turns, R.J. Patterson delivers once again in this bestselling series! Still as enjoyable as the earlier book, good storyline good series.